May 9 is Europe Day in the countries of European Union. This day is also known as Schuman Day and it commemorates the creation of the EU's forerunner. The reason for creation Europe Day in the European Union was the Schuman Declaration of 9 May 1950, when then French Foreign Minister Robers Schuman proposed to create a new form of organization. He called this organization of European states a supranational community. His proposal led to the creation of the European Coal and Steel Community. Its members were Belgium, France, Italy, West Germany, Luxembourg and the Netherlands. 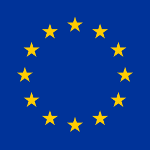 In 1985 three European Communities adopted the European symbols, like the flag. The name “European Union” was adopted in 1993, when three European Communities (the European Coal and Steel Community, the European Economic Community and the European Atomic Energy Community) were incorporated. Europe Day in the European Union was formally recognized by the European Parliament in October 2008. Since then all countries-members of the European Union observe the day. The candidate countries, like Turkey, also celebrate Europe Day.